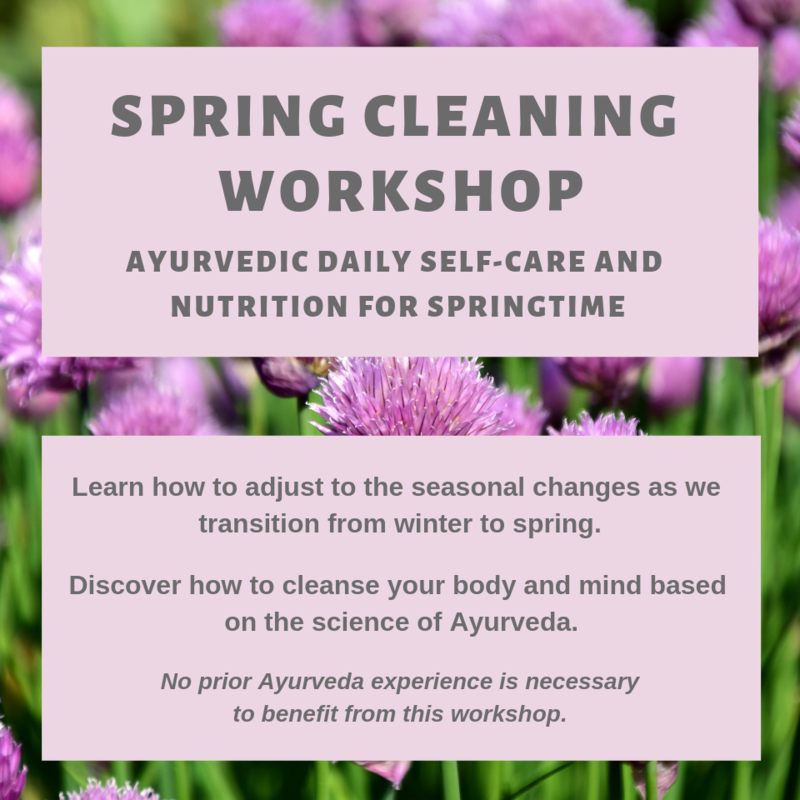 ​Workshop attendees also receive a 90-page Spring Wellness E-book with over 60 springtime recipes, dinacharya instructions, lifestyle tips and more. $60 covers workshop attendance and 90-page Spring Wellness E-book. ​"Sam's workshop was transformational. She has such great knowledge of Ayurveda, and her teaching style is comfortable and casual. Several practices have been incorporated into my lifestyle and the difference in my body and outlook is noticeable. Thank you, Sam!" "You are a gifted teacher and I am grateful for your wealth of knowledge and experience." ​"I have such respect for the knowledge and age-old wisdom that Sam imparts to her students in her Ayurvedic workshops! Food and self care are such elementary medicines for our well being. Sam's enthusiasm and well organized presentations of the Ayurvedic principles is truly remarkable! She prepared a wonderful e-book, so we did not even need to take notes. Instead, I was really able to be present and digest the extensive information provided. Loved the tea and kitchari, delicious - inspired me to come home and cook it!"